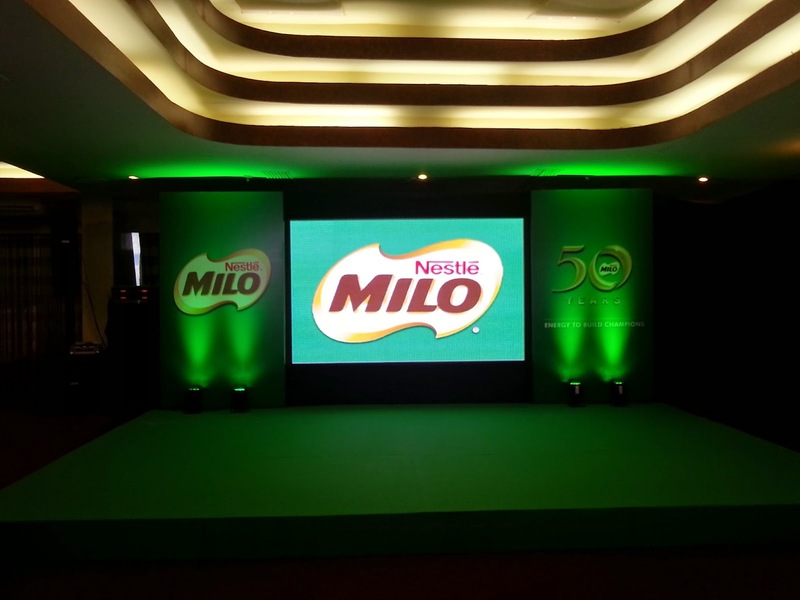 Can't believe that Milo celebrates their 50th year this year! Milo was my favorite chocolate drink growing up. 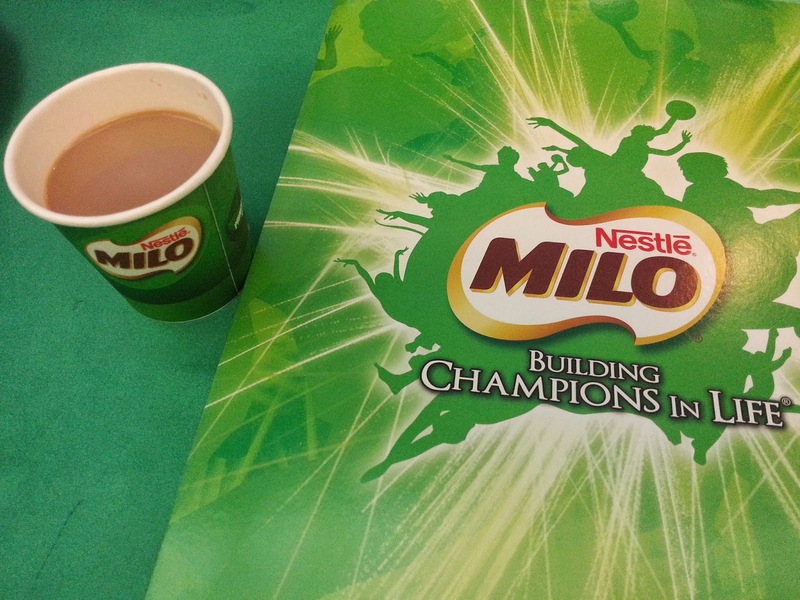 And now that I have a daughter, drinking Milo is part of her breakfast and after school energy booster! I know you've heard of Milo as advocacy of sports, right? 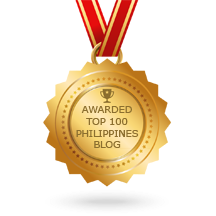 From Milo Best, Milo Sports Clinic, Milo Marathon, Milo Little Olympics, etc. Milo is always after our health and wellness. 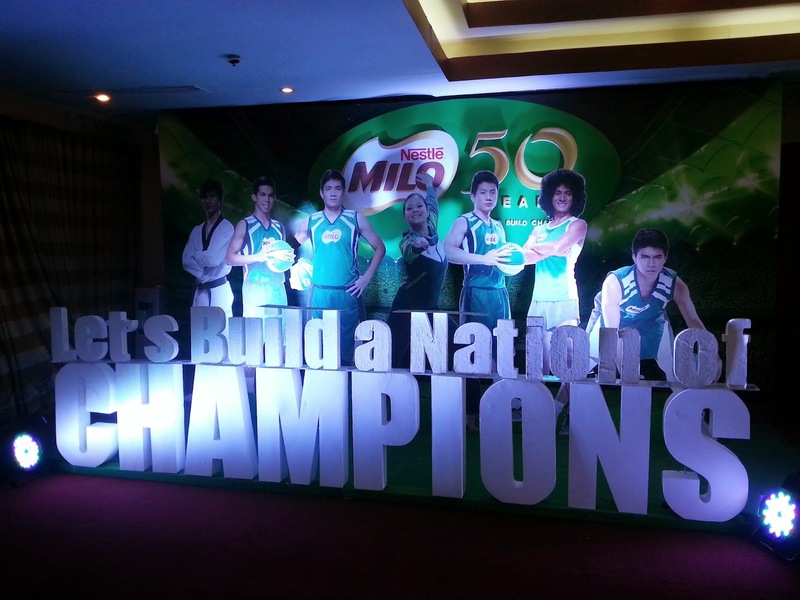 And this year, Milo once again proves that we can build a nation of champions! 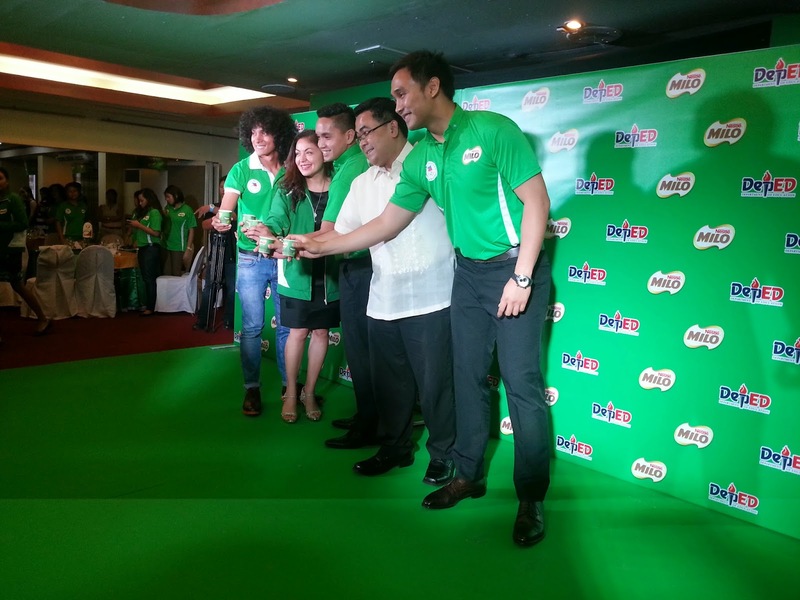 Leading beverage brand MILO announced its partnership with the Department of Education (DepEd) for the One Child, One Sport campaign. One Child, One Sport will enable closer collaboration between MILO and DepEd as it consolidates their new and existing sports programs under one umbrella campaign. Anchored on the thrust to build a nation of champions, the program seeks to empower, mobilize, and inspire both the youth and their educators through sports and proper nutrition. 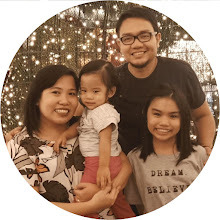 Bayona adds that providing access to physical education and various sports disciplines will not only shape the country’s budding athletes, but will also address the right of every Filipino child to learning opportunities for a better future. MILO and DepEd seek to engage 15 million schoolchildren aged 7 and above to become active and healthy champions by 2017. MILO and DepEd will implement One Child, One Sport across ongoing and new sports programs in public schools in the country. One example of how OCOS will leverage existing MILO sports programs is the National MILO Marathon, which will continue to engage DepEd through its short distance race categories and the Help Give Shoes Advocacy. I'm a believer! I'm all for building a nation of champions, one child, one sport at a time! Throughout the years, the National MILO Marathon has not only catered to professional athletes but also welcomed aspiring runners in the 3-K and 5-K distances where young sprinters have emerged as division winners. 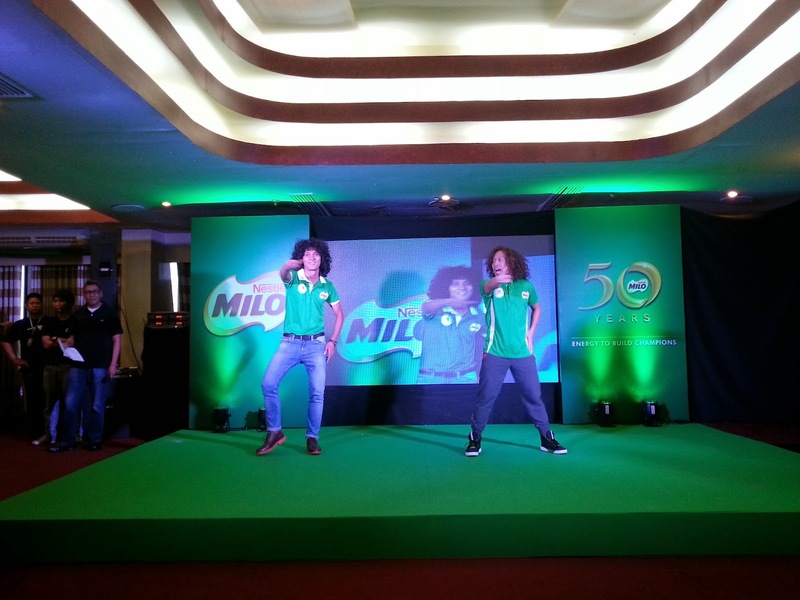 The National MILO Marathon’s legacy lives on as it ushers the 18-leg event with the opening race in Baguio on June 29. The winners of this season’s National Finals will be given a chance to compete in the 2015 Tokyo Marathon. Last year’s victors Eduardo Buenavista and Mary Joy Tabal, will go head to head with the nation’s best to bag the top purse and claim the coveted spots in the esteemed international race event. Part of their prize for winning the 37th NMM in 2013, Buenavista and Tabal recently competed in the Paris Marathon in April 2014. The country’s biggest and most prestigious footrace expects 230,000 runners to participate this year. 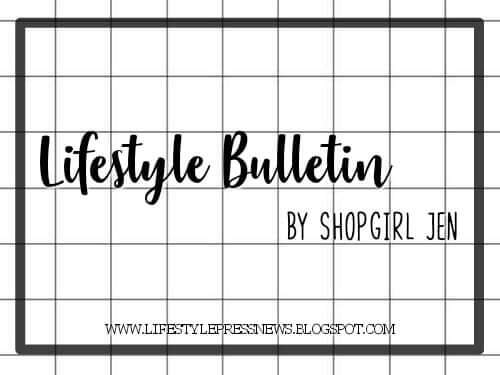 The brand will also further the support for young Filipino talents by providing 16,000 underprivileged youth with brand new running shoes this year to reach the 50,000 mark through the Help Give Shoes advocacy. Help Give Shoes aims make the donation to students in Yolanda-hit cities, particularly Tacloban, Ormoc, and Eastern Samar. 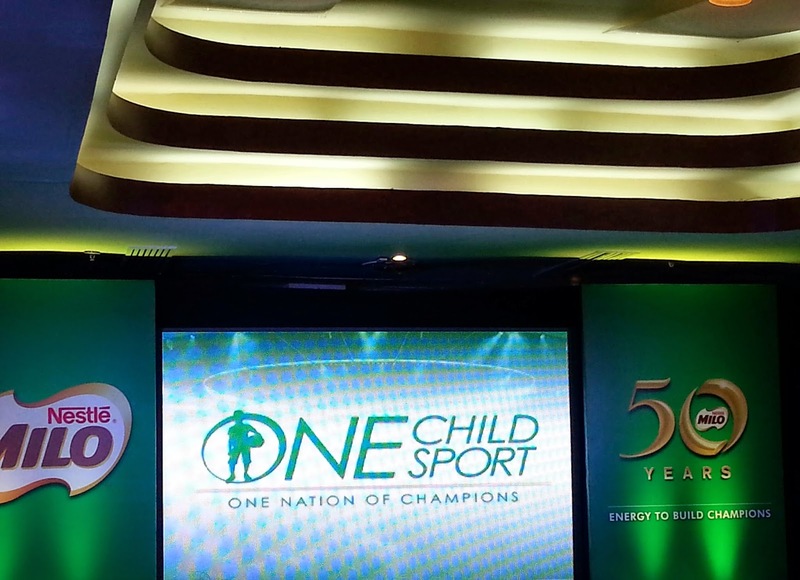 The One Child, One Sport campaign will resonate in MILO and DepEd’s new and existing pool of grassroots sports programs, namely the MILO Summer Sports Clinics, MILO Little Olympics, MILO-BEST Center, and the National MILO Marathon. 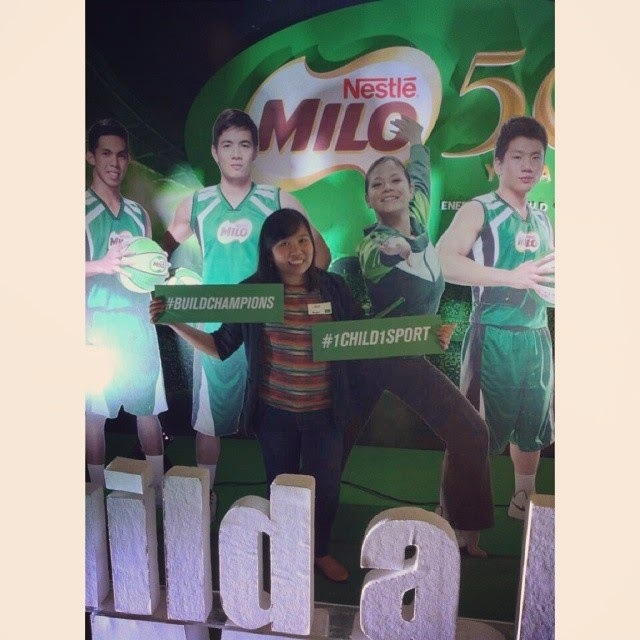 In integrating the campaign in its programs, MILO aims to build a nation of champions with one child knowing one sport at a time. Note: All 21-K finishers within the cut-off time will receive a medal and loot bag. 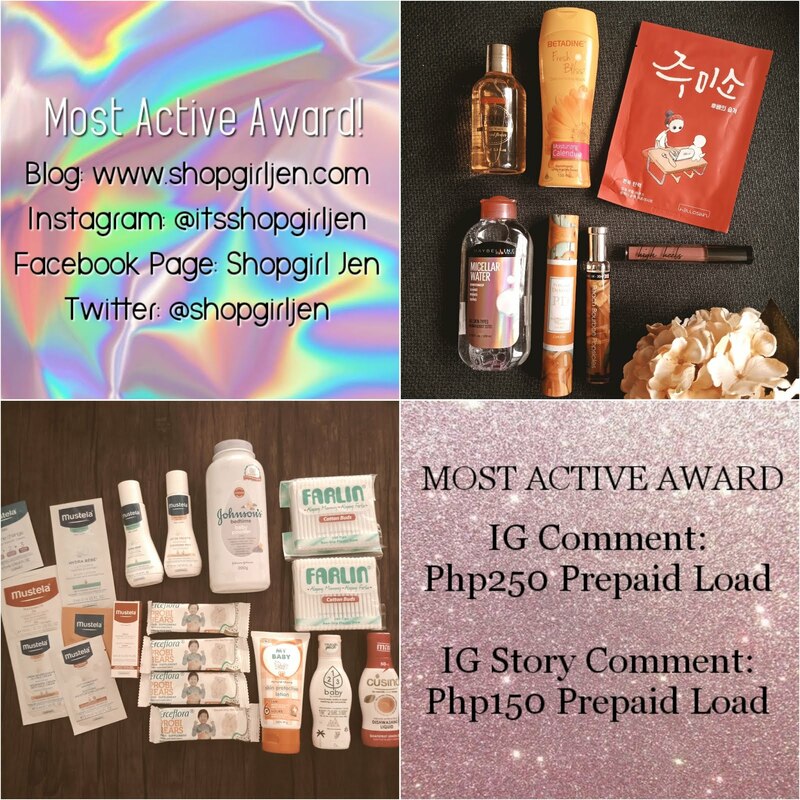 To join, companies must submit their entry forms at the same time. Employees must indicate the name of their company on the entry form and submit a photocopy of their company ID (front and back). To qualify, a minimum of 10 employees must finish the race. Top three companies in each area with the most number of employees finishing the 5-K and 10-K Run will win the awards. In case of a tie, the winning company will be determined according to the best time recorded. To join, company teams must have at least 10 employees competing in the 10K-Fun Run. They must submit their entry forms at the same time. Winners will be determined through the average/aggregate time of the team’s first 10 finishers. To join, running clubs must submit their entry forms at the same time. Club members must indicate the name of their club on the entry form and submit a photocopy of their company ID (front and back). To qualify, a minimum of 10 members must finish the race. Top three running clubs in each area with the most number of members finishing the 5-K and 10-K Run will win the awards. In case of a tie, the winning running club will be determined according to the best time recorded. To join, running clubs must have at least 10 members competing in the 10K-Fun Run. They must submit their entry forms at the same time. Winners will be determined through the average/aggregate time of the team’s first 10 finishers. 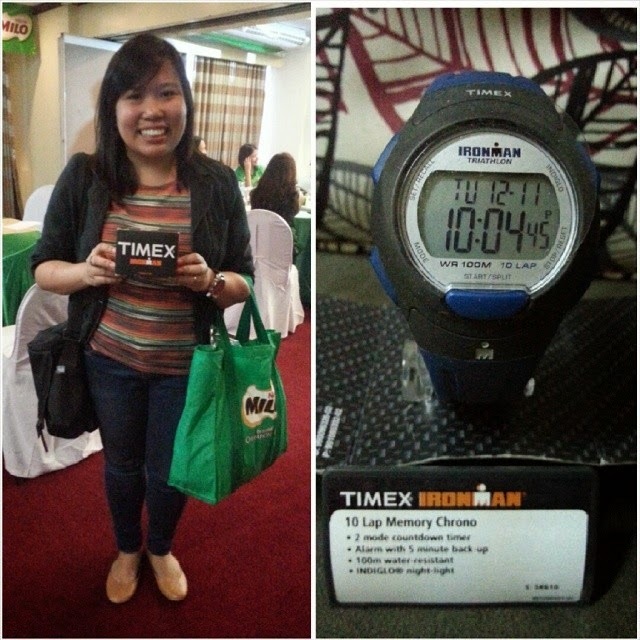 And oh, I won a Timex Ironman watch at Milo's raffle time! 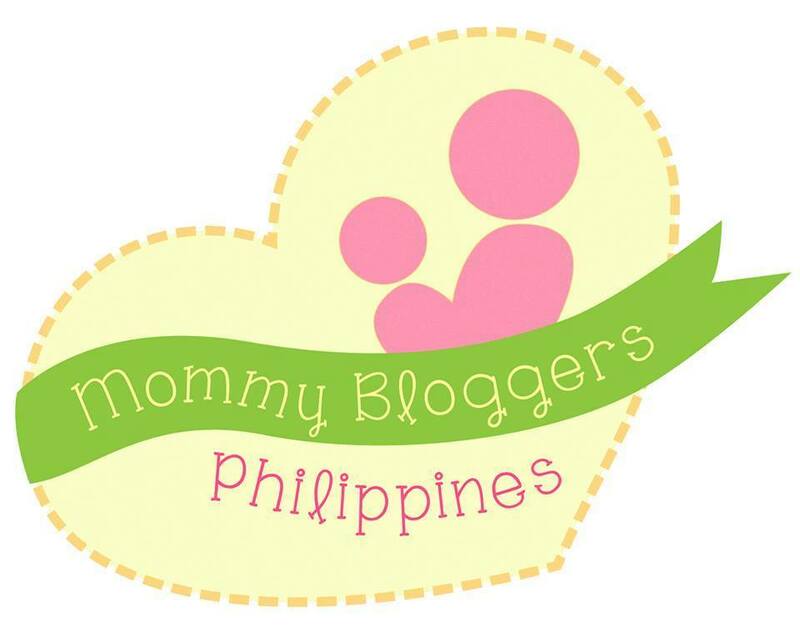 Thank you so much, Milo!!! 1. Interested participants are required to pay a non-refundable entry fee plus one (1) MILO® 300g empty pack alongside the accomplished and signed official registration form. 2. Registration may be accomplished online (milo.com.ph) or by downloading the registration form from http://ww1.nestle.com.ph/milo/marathon/register.html for submission to the area race organizer. NOTE: REGISTRATION IS ON A FIRST-COME FIRST-SERVED BASIS. PARTICIPANTS SHOULD WEAR THEIR MILO® MARATHON SINGLETS & RACE NUMBERS DURING THE RACE OR THEY WILL NOT BE ALLOWED TO RUN. 3. Participants must be 18 years and above on the race day to participate in the Full Marathon (42.195-K) and Half Marathon (21-K). Each will have to secure an official ‘Fit-To-Run’ medical certificate signed by a licensed physician within 2 months before race day. 8. Only local participants (Filipinos and foreigners with working visa) can join and win in the 42.195-K and 21-K elimination races. Overseas participants may join and compete in the 42.195-K and 21-K National Finals for as long as they fulfill the requirements (To qualify, overseas runners must provide proof of finish in any AIMS/IAAF accredited races dating back at least one (1) year before race day or they mayqualify in the Manila elimination race. They must have a finish time within the specified age-bracket and time identified in items 18 (for 21-K) & 19 (for 42.195-K). 10. Participants may claim their official race packets (containing the race number with timing chip attached, safety pins, and route map) upon complete registration. Race numbers are non-transferable. Baguio (June 29), the elimination legs will resume in Dagupan (July 6), Tarlac (July 13), Angeles (July 20), Manila (July 27), Naga (August 24), Lucena (August 31), Puerto Princesa (September 7), Lipa (September 14), Iloilo (September 21), Bacolod (September 28), Tagbilaran (October 5), Cebu (October 12), Butuan (October 19), Cagayan De Oro (November 9), General Santos (November 16), and Davao (November 23). The National Finals will be held on December 7 at the SM Mall of Asia grounds in Pasay City.